What can I say? MapQuest seems to have a new focus on their APIs that I don’t think I’ve ever seen. So we have a bonanza of beta and preview updates to share with you. We’ve been busy making a number of updates to the MapQuest Platform and we’ve been creating new Web Services and revising our client-side SDKs. Very interesting, the vector based POI stars are of course critical to most people’s workflows so that is going to go over big. Me, I’m more interested in the Mouse Wheel Zoom Control. Humor aside it is good to see MapQuest investing in their platform. We all used MapQuest back in the day and while in this crowd it has a huge uphill climb before anyone will start using it with their business processes, I can’t but get nostalgic?about putting a MapQuest map on a website. 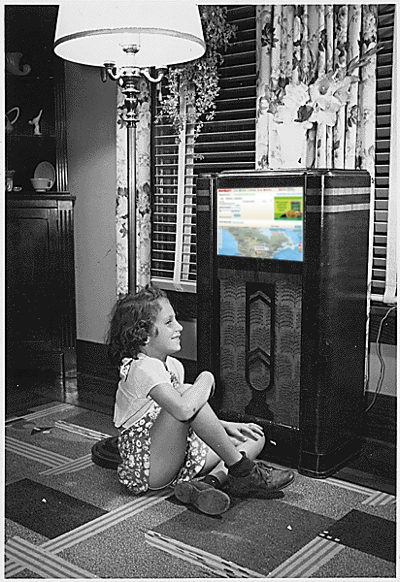 Back in the 40’s, my Mom used to listen to MapQuest on the radio every night.